Home Teleconferences Convert Prospects with Other Attorneys’ Trusts Into Clients! Who Come In with Old Trusts to Rewrite Them? More and more of the prospective clients you meet with already have an old Living Trust plan prepared somewhere else. Many of these old Trusts are out of date and legitimately in need of an upgrade - - whether it’s because of changes in the Trustor’s wishes, his or her relationship with the Trustees and beneficiaries, changes in the needs and circumstances of beneficiaries, as well as changes in the law and planning “technology” (or even your approach). 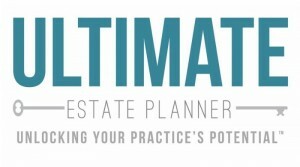 Unfortunately, most practitioners find it a lot harder to convince prospects who already have a Trust to spend money on upgrading their existing plans than to engage people without a plan. Why is this the case? You don’t know how to quickly review an existing Trust, with the prospect right in front of you, and convince them to move forward and hand you a retainer check. This is the stuff they never taught you in law school or continuing education courses! The mind-blowing reality is that your success with prospects who already have a Trust depends not as much on your technical knowledge or what you do or say, but rather how you do and say it! Properly “set the stage” at the beginning of the meeting - - so you delicately control the process and the results! Apply tested and proven “scripts” so that you say the right things during the meeting, in exactly the right way - - and avoid saying the wrong thing! Utilize a Review Questionnaire and a Review Checklist to dramatically reduce your meeting time and increase your closing rate at the first meeting! Quickly spot the prospect’s “hot buttons” so that they virtually “close” themselves! Artfully weave in the discussion of advanced-level estate tax or asset protection planning, so you get that work too! Quote your fee quickly and decisively, to prevent price “negotiation”! Overcome both stated and unstated objections to moving forward - - and be ready to drop the “Nucular Bomb” as your last resort! 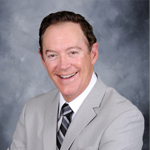 Learn all of this and much more with nationally renowned estate planning attorney, Philip J. Kavesh, during a special 90-minute encore presentation REPLAY on Tuesday, May 14, 2019 at 9am Pacific Time (12pm Eastern Time) entitled, “Convert Prospects With Other Attorneys’ Trusts Into Clients!”. Phil has re-written well over a thousand trusts prepared by other attorneys and he can show you how to do it too! If you are unable to attend or wish to download this program right away, you also have the option to do so by purchasing the On-Demand Program (currently available for the same price as the replay!). The On-Demand Program includes downloadable PDF handout materials and the MP3 audio recording. Program Title: Convert Prospects with Other Attorneys’ Trusts Into Clients!